We at Riley Blake Designs miss our friend, and yours, Nancy Zieman. We so enjoyed working with Nancy and her staff to create designs for Penny Rose Fabrics. It was her wish that we continue creating new collections with her team. 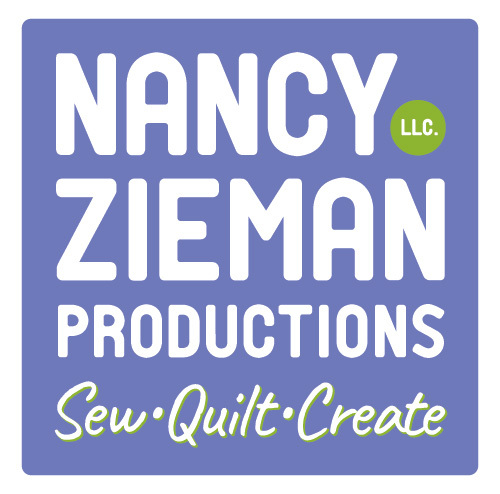 We are so proud to continue presenting collections under the name Nancy Zieman Productions. Nancy Zieman (June 21, 1953 – November 14, 2017) – author, designer, businesswoman, TV producer, blogger and national sewing authority—was the host of the popular show Sewing With Nancy®, which appeared exclusively on public television stations across the United States and Canada. You can watch Sewing With Nancy® online at nancyzieman.com. Sewing With Nancy® is a co-production of Wisconsin Public Television and Nancy Zieman Productions. Broadcast since September 1982, the program is the longest-airing sewing series on television. Nancy organized each show in a how-to format, concentrating on step-by-step instructions. In addition, Nancy was founder of Nancy’s Notions®, a division of Tacony Corporation. The company publishes the Nancy’s Notions® Catalog, a full color catalog containing hundreds of products including sewing books, notions, videos and DVDs, fabrics, and quilting products. The Wisconsin Women Entrepreneurs Association named Nancy Zieman the 1988 Entrepreneurial Woman of the Year. In 1991, Nancy Zieman received the National 4-H Alumni Award. Nancy Zieman was elected as the first member of the Sewing Hall of Fame in 2001. In 2013, the University of Wisconsin-Stout honored Nancy Zieman with the Distinguished Alumni Award. The University of Wisconsin-Extension 4-H Youth Development Program inducted Nancy Zieman, with honors, into the Wisconsin 4-H Hall of Fame in 2014. Nancy lived in Beaver Dam, Wisconsin, with her husband, Richard. The couple have two children and three grandchildren.